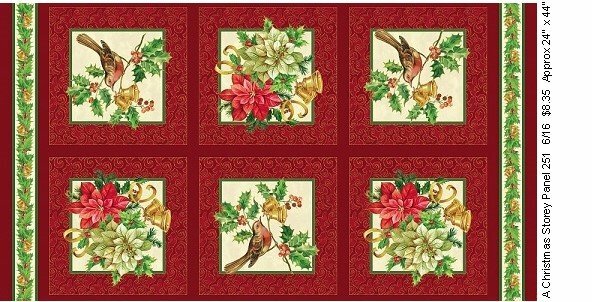 A Christmas Story 6-Pane Panel 20623M 24 by Deborah Edwards for Northcott Fabrics featuring metallic gold accents. This panel is approx 24" x 44". 100% cotton.